At a time when many prominent manufacturers are launching top-of-the-line smartphones to lure more customers, refurbished (phones that are repaired for re-selling purposes) and second-hand phones in India are outpacing the new phone industry. Particularly in India, since past few years, the refurbished phone market has been flourishing due to the factors like affordability and shorter upgrade cycle of such phones. As a result, increasingly, people in India are showing interest in using an old phone with the features that they want instead of buying a new phone with lower specifications. Earlier, people had to physically visit the various market of the city to buy such phones but now even various e-commerce sites are selling the refurbished phones. There are many factors which could be attributed to the growth of refurbished phone market in India. First, the growing smartphone users in cities as well as rural areas have hugely impacted this industry. Second, refurbished phones are a boon to those who want to upgrade their phone as frequently as within six to eight months to either enjoy the latest technology or add to their status symbol. Third, since the technology is changing rapidly and gadgets are becoming outdated sooner than usual, refurbished phones seem to be the best bet of the customers in such a scenario. Fourth, refurbished phones are highly affordable and don’t pinch the pocket much. In fact, customers can buy a refurbished phone at lower cost but with higher specification as compared to the new phones. Also, given the fact that not everybody can buy the premium phones, refurbished phones are a much easy buy for most of the Indian population. Last but not the least, refurbished phones lead to less impact on the environment as they curb the demand for new phones and manufacturing of which involves huge impact on the environment. 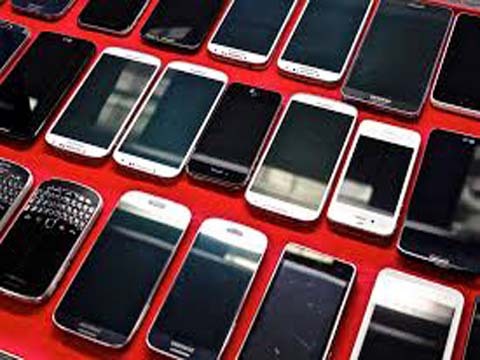 Refurbished phone also lead to less generation of e-waste. Given the above mentioned benefits, refurbished smartphones of popular brands are being increasingly sold in India and have a major demand from every segment of the population. Although the refurbished phone market in India is posing tough challenges to the new phone industry, however, the former is mostly unorganised and generally offline. As per facts, India has an unorganised market of 70 million refurbished smartphones. Further, the grey refurbished phone market is restricted to big cities of the country and hence, not everyone is able to buy the refurbished phones easily in any part of the country. Other challenges are the quality and pricing of refurbished smartphones. Often, the refurbished smartphone buyers are sceptical about how the product will be and they are not able to trust the sellers easily. Eyeing this as a major opportunity, many emerging online commerce companies are capitalising on this booming segment by selling the refurbished phones at around 60-75 per cent of the original value. They are catering to all segments of the population residing in any part of the country, thereby, putting an end on the accessibility woes. Also, these companies perform rigorous quality checks covering the physical and functional aspects of the refurbished phones and give optional warranties on many of the products, thereby, luring more customers. Thus, such companies are touted to see various opportunities for growth in the country. Thus, it goes without saying that the refurbished phone market will definitely be a tough competitor for the new phone industry in the world and India too will see the same trend. Given the highly unorganised and grey refurbished phone market in the country, the emerging e-commerce companies in the country selling refurbished smartphones and giving warranties and quality assurance on the products definitely seem to have a bright future ahead!